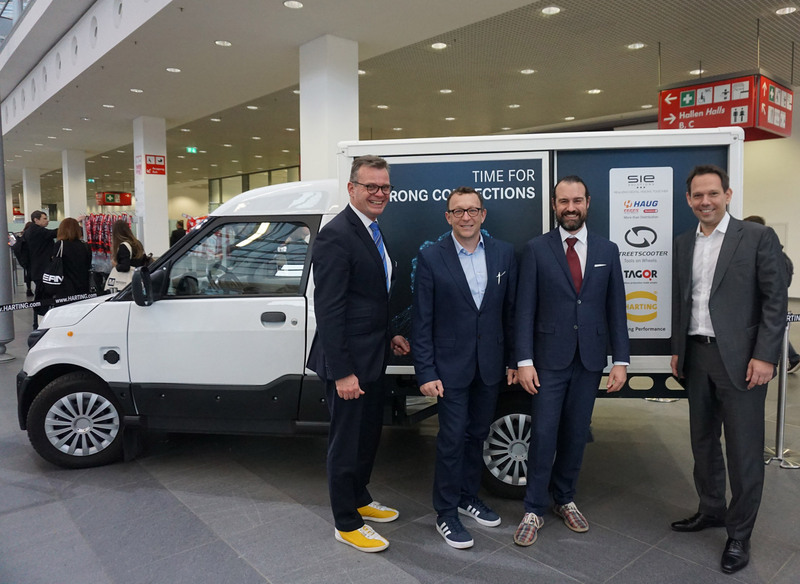 The Haug Group and HARTING Technology Group will shortly be offering a joint solution for connecting the heart of the StreetScooter – the board for the battery management system (BMS) – to the battery. The project was successfully completed within a few short weeks by the Haug Group, an electronic component solution provider, and HARTING, one of the leading providers of electronic connectors. The two companies involved recently met at the "electronica" trade fair in Munich to exchange experiences. "Thanks to the high level of professionalism, flexibility and technical expertise of everyone involved, a fully compatible connector was able to be delivered within a short time," says Frank Bleicher, Managing Director of the Haug Group. The project included the technical examination as well as the development of a customised delivery concept. "It’s a partnership at eye level - the participants complement each other perfectly," says Stefan Olding, Managing Director HARTING Germany, in retrospect. In order to meet the high quality standards of StreetScooter, System Industrie Electronic Holding AG and its subsidiary Tagor Electronics, a specialist in the prefabrication of technical components and supplier of StreetScooter, was looking for a new solution to connect the board for the battery management system (BMS) to the battery. 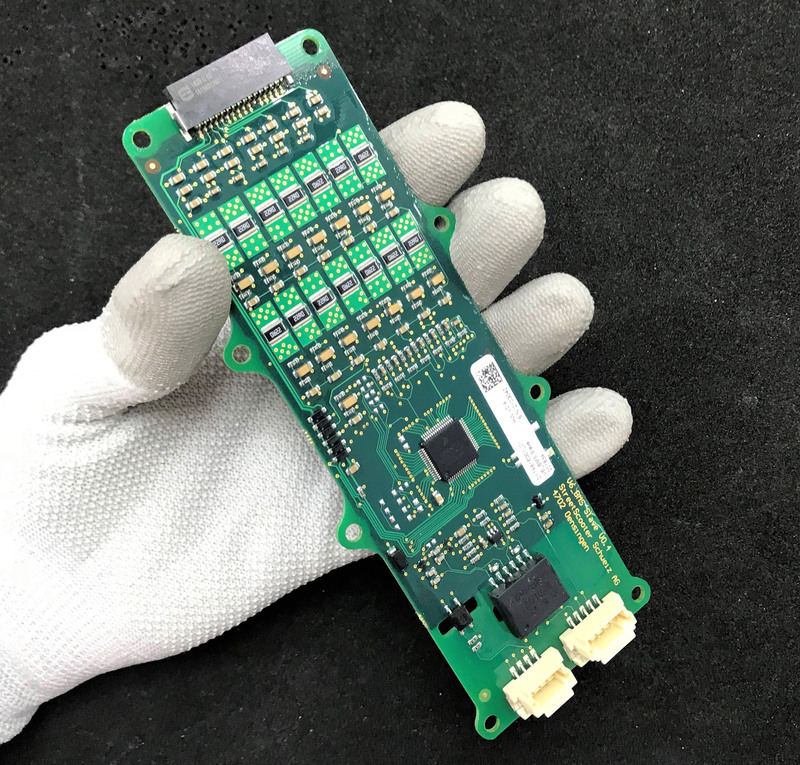 The board for the battery management system (BMS) is connected via the har-flex®. The har-flex® thus creates the connection to the heart of e-mobility. "What impressed us most was the close and trust-filled cooperation of all partner companies," said Udo Filzmaier, CEO System Industrie Electronic Holding AG. "This enabled us to develop an optimal solution for the StreetScooter," added Sascha Österle, CEO Tagor electronic d.o.o. Die Vertreter beteiligten Unternehmen trafen sich nun auf der „electronica“ zum Erfahrungsaustausch: Stefan Olding, Geschäftsführer HARTING Deutschland; Udo Filzmeier, CEO System Industrie Elektronik; Sascha Österle, CEO Tagor und Frank Bleicher, Geschäftsführer Haug Components (von links nach rechts). Would you like to learn more about PCB connector har-flex® ?